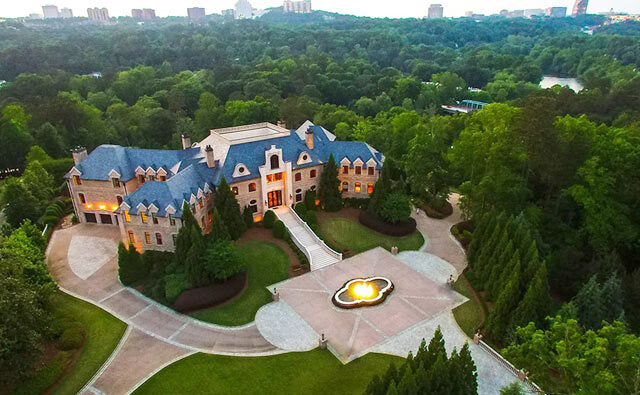 Actor and filmmaker Tyler Perry’s French Provincial–style manor in Atlanta was built in 2008, with careful attention to detail. Set on 17 parklike acres along the Chattahoochee River, the property is 3.5 miles from the city’s historic Buckhead Village and 15 miles from the Dekalb Peachtree Airport. 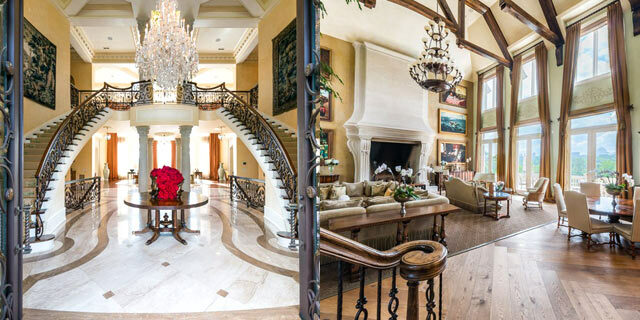 The approach to the home features an elegant motor court punctuated by a fountain. Inside, a glamorous entryway paved with marble leads to a receiving area decorated with Corinthian columns. 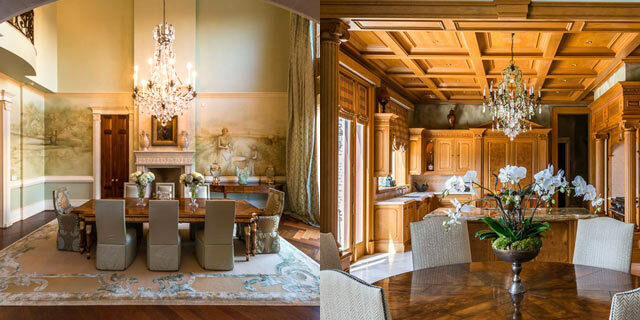 Highlights of the kitchen include coffered ceilings, ornate millwork, and a balcony. There’s also a library with a spiral staircase that leads to both the wine cellar and a parlor with leather walls and a fireplace. 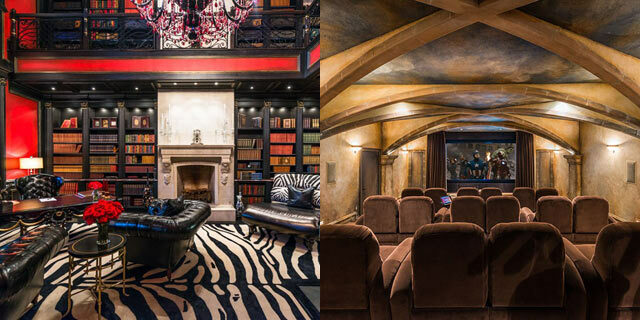 Among other amenities, the home offers a private theater (shown) with dramatic vaulted ceilings, a large fitness center, and an underground ballroom with Brazilian cherry flooring and a commercial-grade kitchen. 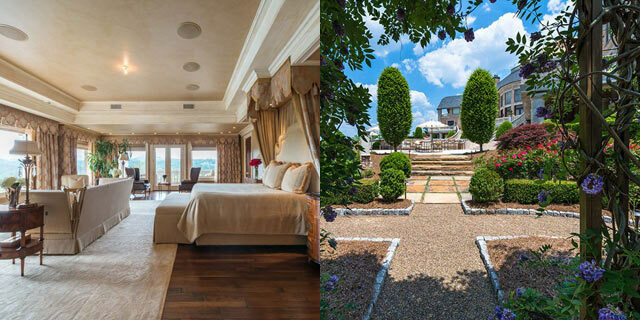 Set in a private wing, the spacious master suite is lined with windows overlooking the lush property. The pristine grounds feature formal and informal gardens, an oversize infinity pool, a tennis court, and a guest cottage.